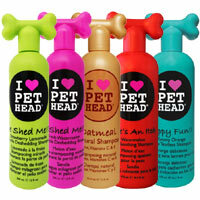 For the full bath time experience, why not add the Pet Head dog shampoo to your order too. High Maintenance has never been so easy. 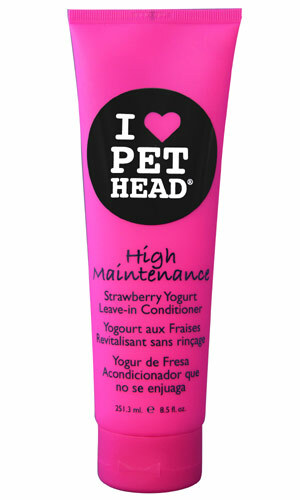 This leave-in dog conditioner by Pet Head smells amazing and conditions your dog's coat, leaving it soft and silky, not heavy or sticky. 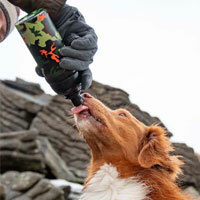 Simply smooth this leave-in conditioner over your dog's coat after their bath. 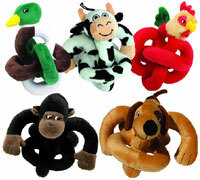 Leave to dry or treat your dog to a pampering blow-dry. 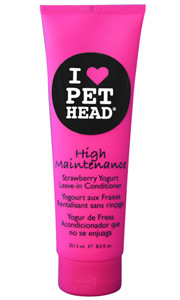 The delicious Strawberry Yoghurt aroma will delight the senses. 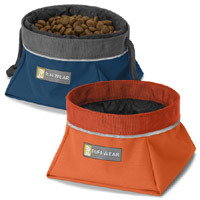 Your dog's coat will look so healthy and glamorous. With Lavender oil to calm, Chamomile Flower oil for a radiant glow and Provitamin B5 (Panthenol) to seal the coat's surface, making it gloriously shiny. Suitable for all dogs and particularly perfect for long, thick coats, flyaway fur, coats that are lacking lustre or are in a bad condition.